Can the U.S. still be a neutral broker for peace? 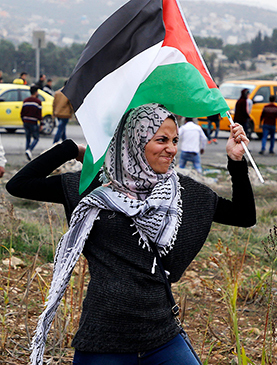 The long-sought goal of an Arab-Israeli peace settlement is looking more distant than ever. President Trump's decision in December to formally recognize Jerusalem as Israel's capital and relocate the U.S. Embassy there infuriated Palestinian leaders while heartening conservative Israeli Prime Minister Benjamin Netanyahu. Trump defends his decision as a recognition of reality and vows to work toward a settlement in the region. But Jerusalem is hallowed ground for both Arabs and Israelis, and critics say Trump has moved so far in Israel's favor that the United States can no longer be a neutral broker between the two sides. Both Netanyahu, under investigation for alleged corruption, and aging Palestinian leader Mahmoud Abbas, widely accused of stifling Arab democratic rights, have uncertain political futures. Frustrated with the dimming outlook for peace, a growing number of young Palestinians favor armed struggle.